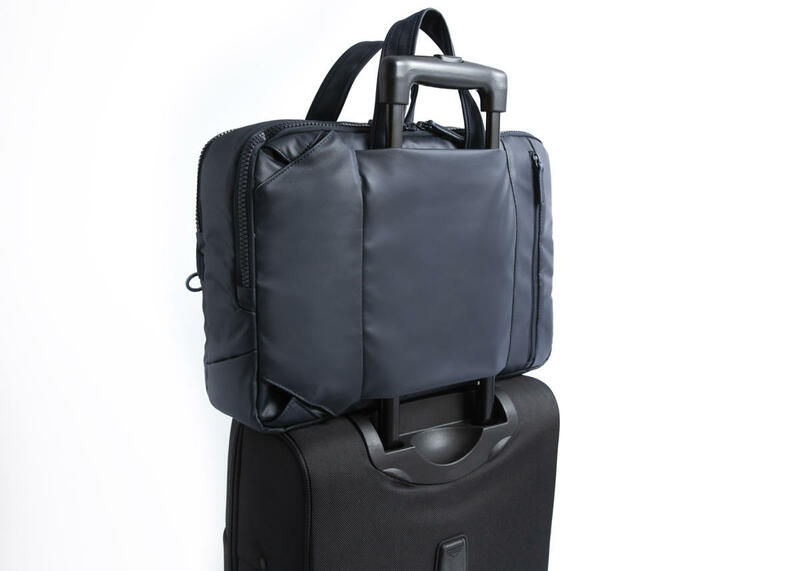 Organized briefcase of the Passenger Action collection with two handles and hidden shoulder straps on the back that allow to turn the bag into a backpack with a simple movement. Office organization with padded pockets for laptop and tablet. Front pocket and trolley sleeve.